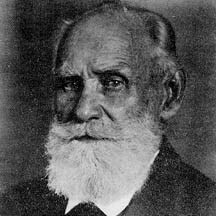 The Journal of Higher Nervous Activity is named after I.P.Pavlov and is published under the same name for 50 years. Paper in this journal represents different directions in Russian brain and behavior physiology traditionally named (using I.P.Pavlov's terminology) "Higher Nervous Activity". These include not only mechanisms of memory and behavior, but also a serious pharmacological approach, trophic function of nervous system, pathology of higher nervous activity, biochemical approach, and electophysiological investigations. Historically the term "Higher Nervous Activity"; reflects I.P.Pavlov's opposition to Ch. Sherrington's deliberate unwillingness to investigate the processes underlying learning, mind and other higher brain functions. I.P.Pavlov, a Nobel prize winner (1904) in physiology, declared that psychological methods were not effective in investigations of brain activity, while introduction of physiological approaches, opens new perspectives for investigation of higher functions of the brain. In fact, I.P.Pavlov implied a necessity to investigate the behavior of humans and animals in cooperation with thorough analysis of the brain neurophysiological, neurochemical, and molecular-biological mechanisms. This implicit cooperation from the very beginning was the hallmark of Russian approach differing it from the behaviorism, ethology, comparative psychology, zoopsychology, etc.